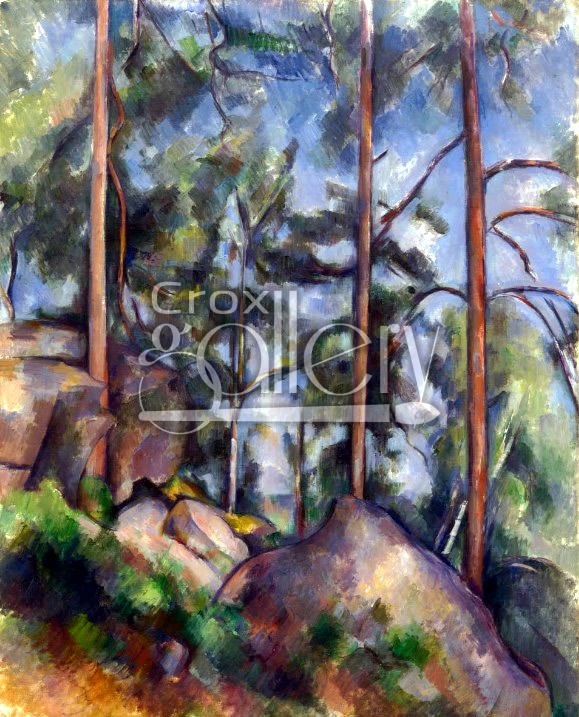 "Pines and rocks" by Cezanne, Hand-painted Reproduction. 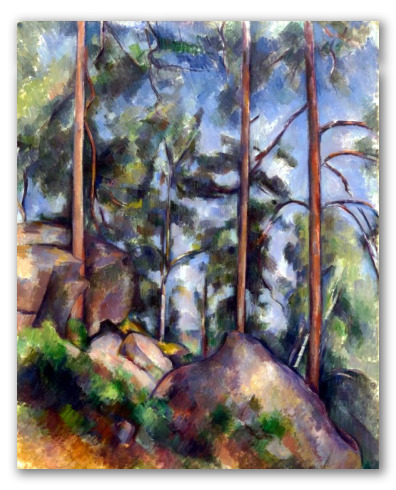 Pines and Rocks by Cézanne. No one knows for sure where and when he painted this landscape. Some experts say that the painting dates to 1897, based on the size and amount of paint used in the brushstrokes, and it is believed that the place depicted in this work is the forest of Fontainebleau or some region near Paris, where Cézanne spent much time in the late nineteenth century. Currently on display at the Museum Of Modern Art (MOMA) in New York.